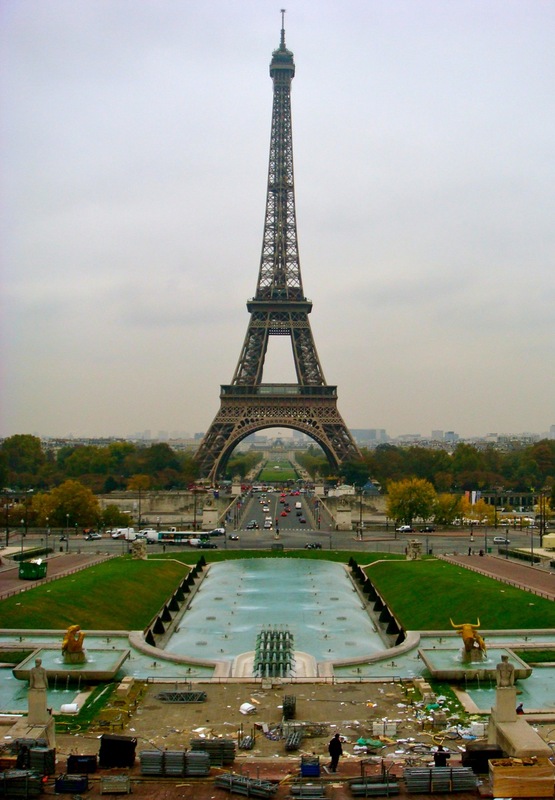 Paris is the most visited city in the world. And its proximity to me in London meant that it was easily a must-see destination. So, I set off for an extended weekend in the city of light! 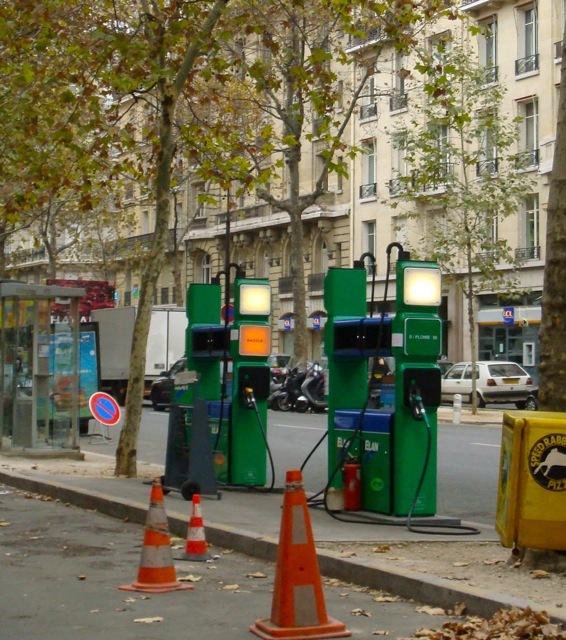 True to the student lifestyle, I searched for the cheapest possible way to get to Paris, which meant a bus ride with Eurolines. It only cost £37 return, but it did mean that I had to endure an 8-hour journey each way. 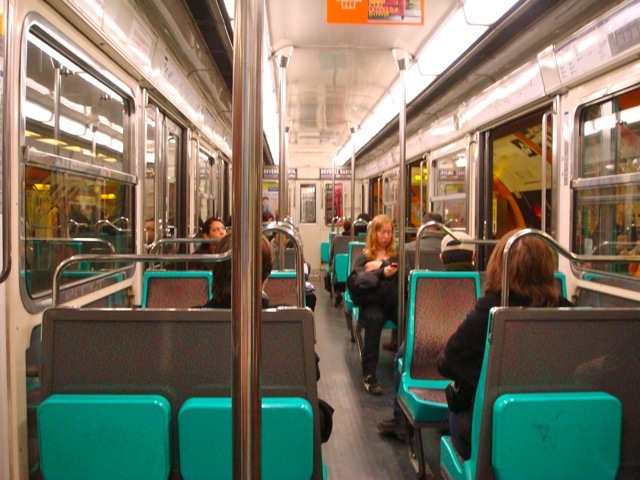 The first ride was an overnight bus, to maximize my time in Paris. I couldn't just sleep the whole way, either: Crossing the English Channel meant that everyone had to get off the bus when it embarked onto the ferry. I found a bench on the ferry and did my best to pass out on it. 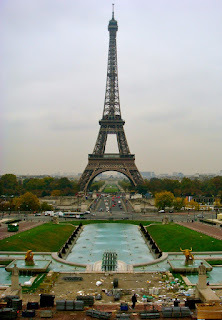 I arrived in Paris early in the morning, around 6am, having gotten some sleep on the bus ride. I immediately navigated my way onto the Metro and made my way across town. This was it: It was my first time by myself in a foreign country where I didn't know the language. Granted, I was in tourist-heavy and English-speaking Paris, but nevertheless it was a milestone for me. I was staying with a family friend who lived in a small studio apartment not far from the Eiffel Tower. So I dropped my stuff off, and as she took her son to school and headed off to work herself, I set off to explore. 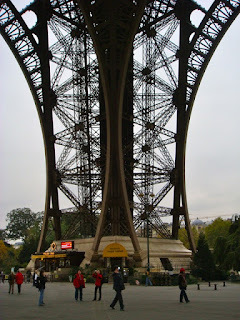 I immediately made my way to the Eiffel Tower, and it was impressive. I mean, it looked exactly how I had seen it in countless movies and TV shows. And to see something so iconic and famous in real life was, to me, extremely fascinating to see. It was tall, and there were tons of tourists swarming around its base (I didn't dare spend the money to go up top). I wasn't phased, I was there to be a tourist myself anyway. So I excitedly crossed the river, marveling at all the small differences, from the traffic lights, cars (driving on the right was suddenly new to me after London), and the buildings. 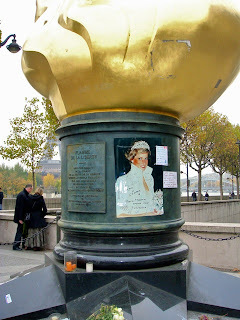 I had a crude map with me, and I used it to head in the direction of the Arc de Triomphe. Lots of interesting sights and buildings along the way. At the Arc de Triomphe, I met up with a friend from Berkeley who was studying in southern France. Well, actually, we met a couple blocks away - due to a miscommunication - in front of the Cartier shop. Dammit! 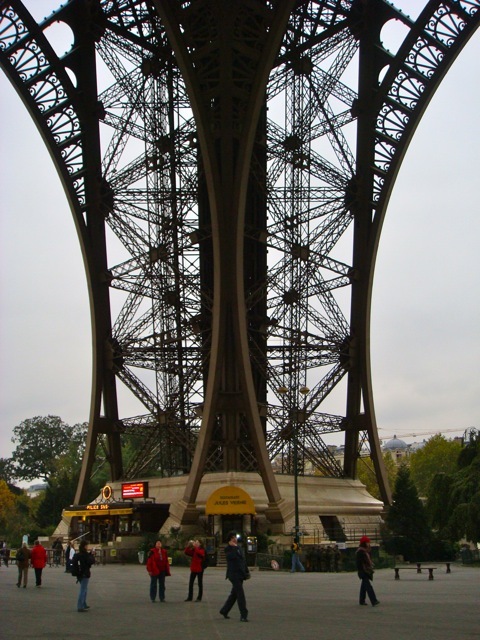 It would have been so cool to meet an old friend under a Parisian landmark! 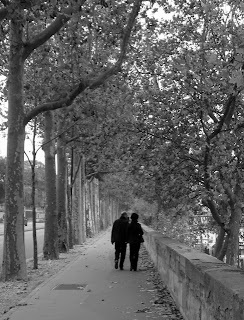 Anyway, after grabbing a couple sandwiches (where I felt slightly intimidated to order, risking being seen as an ignorant non-French-speaking American), the two of us set off on foot, looping around Paris. 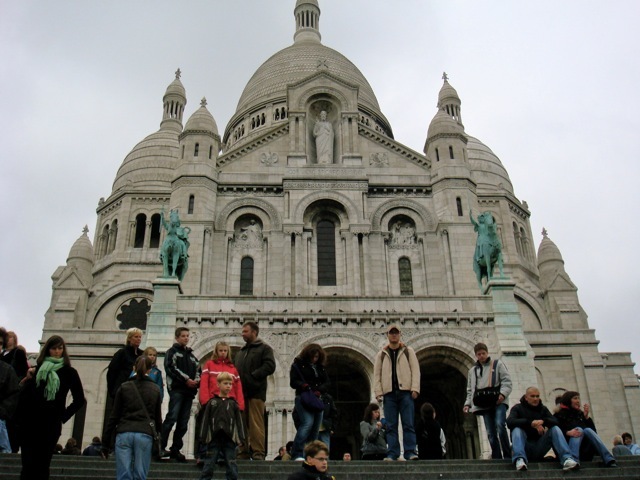 We passed through a few small but well-kept gardens, then past the Moulin Rouge and into Montmarte, where we saw the Sacre Coeur cathedral. The church was on a hill overlooking Paris, and the views from there were simply amazing. Many people (locals and tourists alike) were just sitting on the steps relaxing. Our next goal was to see Pére Lachaise cemetery, the resting place for many famous people. 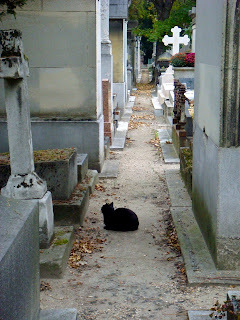 The cemetery was a couple miles away, but we weren't tempted to even take a bus or the Metro. We walked there. The cemetery was huge. We couldn't even find Jim Morrison's grave! I did manage to find the grave of Frederic Chopin, which was somewhat satisfying too. After that, my friend and I parted ways and I made my way (on foot) to the Place de la Bastille, where I finally sat down and got some rest. 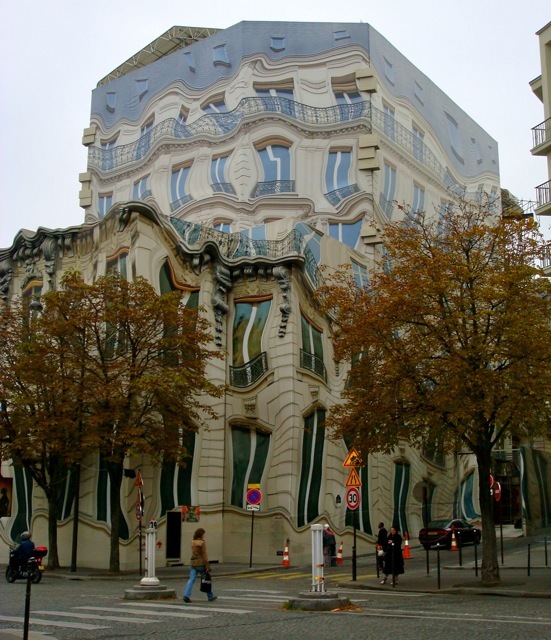 After all, I had just looped around the entire city of Paris on foot! The day began to dim, as French people continued to mind their own daily lives, which provided something interesting for me to watch. 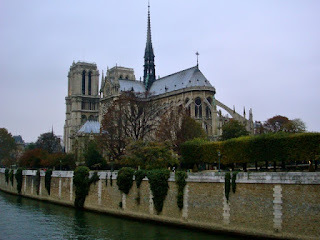 After a few minutes, I had regained enough energy to continue walking, and my legs took me to Notre Dame. In the courtyard of the cathedral, I met a couple of Americans. They lived in Pasadena! What a small world. Walking back home from Notre Dame, I walked through the southern part of Paris. It was a long walk through the city at night, and at times I wasn't sure where I was at all. For my second day in Paris, I decided to allow my legs to rest a bit, and I bought a 1-day ticket for the Metro, which was really cheap, only like €3,50, because I was able to get a youth ticket that's only offered on weekends. So, off I went to explore! I headed first for the Jardin du Luxembourg, a large, well-manicured garden where you'd find the French senate. 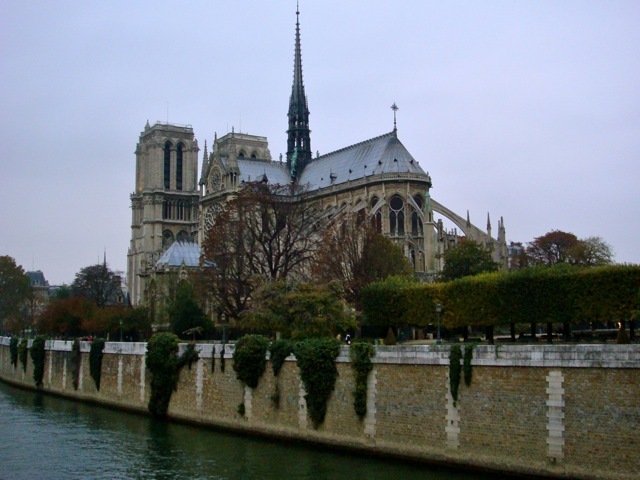 I then wandered around the nearby Latin Quarter, historically renowned for being a center of education and students. Hungry, I got a quiche, which was delicious but small. I didn't dare get more, being the poor student that I was myself. Afterwards, I took the metro over into the heart of Paris and wandered over to the Bourse, the stock exchange of France (which is no longer active now). Anyway, there I stumbled upon what appeared to be the filming of a commercial. 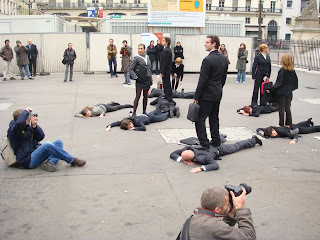 People were walking around in suits and talking loudly into cell phones. Then the director had them all stand for a photo shoot. It was fun to watch and seemed very "French" to me. Soon I met up with another family friend for the afternoon. We went to the Louvre, walking around and taking pictures until my camera battery died. I spent the evening strolling around the Eiffel Tower with my host and her son. It was really nice and fun (the son kept jumping around and loved playing tag). The next day was Sunday, I had my bus back to London, which left me only a couple hours in the morning to get my things together and go for a short walk around the riverfront before catching my bus. The bus ride back to London was also 8 hours long, but instead of taking the ferry, the bus was on a train going through the Channel Tunnel. Everyone had to get out of the bus to get their passports checked. Paris was beautiful and magical, just as I had imagined. It was also gritty and urban; I could tell from the way people acted. Nevertheless, I'm very glad that I finally got to see it.